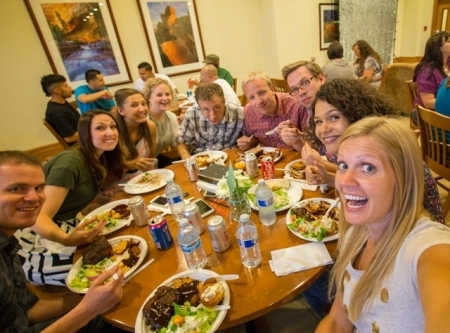 We had our annual summer BBQ today in Riverton; we’ll be having our Kanab BBQ next week. It was phenomenal for several reasons. To start off, we used a new catering company, and while the company we’ve used in the past has been great, the food today was excellent. Everyone loved it! And, although we called it a summer BBQ, it didn’t feel much like summer—Riverton was rainy and overcast today. Thankfully those who planned the event were inspired or something. . . while we had the traditional volleyball competition planned, they had added indoor activities this year. A Bingo game was going on in one of our larger training rooms, and there was a pretty constant line at the photo booth, where people lined up with friends to take photos with funny faces and fun props. 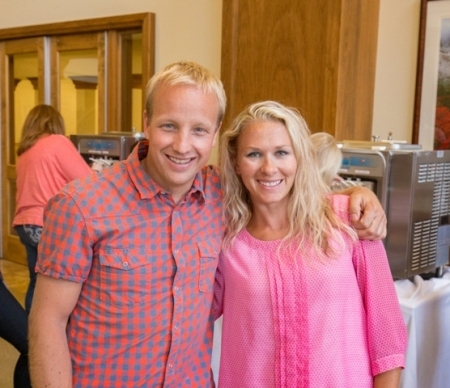 We topped off the event with our Heart of Stampin’ Up! award. We have four Heart of Stampin’ Up! awards from our Riverton office, and one to be announced next week in Kanab. As I was reading the Heart of Stampin’ Up! 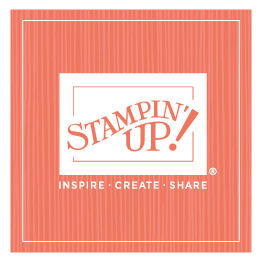 nominations, I was reminded what a great group of people we have at Stampin’ Up! 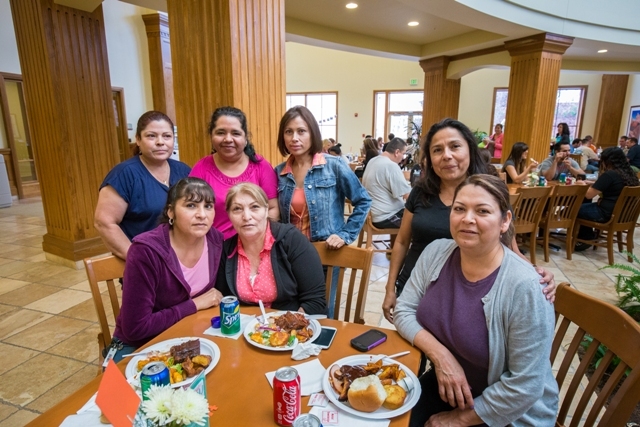 It was heartwarming to see employees who admire and love the people they work with. 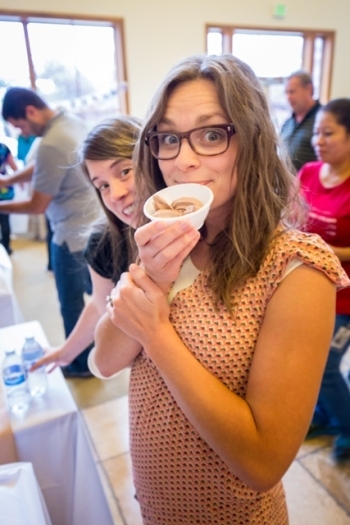 So many people shared touching, wonderful stories about their coworkers. Some were simple, some were significant, and all the stories were profound because they exemplified people who are committed to loving what they do and doing their best at it and caring for those around them. Congratulations to all who were nominated (as well as the many who weren’t but were definitely deserving of a nomination), as well as the four who were recognized in Riverton: Julie Gandy, Aaron Westerman, Derek Christensen, and Traci Clark (her photo is missing because she was out sick today. . .darn!). I work with amazing people. . . that’s all I can say! And I’m grateful that we have an opportunity on occasion to sit back, relax, and have fun with each other.